DIY Deodorant: Don’t be scared of sweat! Did you know?? Sweat is 99% odorless and basically just water leaving our bodies. Why is everyone so scared of sweating? Probably because when sweat can’t quickly evaporate (clothes holding it in, armpits not airing out, etc) our bodies get nervous and send out bacteria to get rid of the sweat..and the bacteria is what smells. So we end up running to the store and slathering on all kinds of nasty harmful aluminum-filled deodorants to try to prevent the sweat when all we really need is something that will prevent the bacteria and give the sweat more time to evaporate. Most store bought deodorants are filled with toxins that seep into our skin and travel through our delicate lymph nodes. Aluminum has been linked as a possible cause of cancer, yet we still slather it on our armpits EVERYDAY in fear of sweat! Did you know?? The yellow stains on our white t-shirts aren’t from sweat, but from the aluminum seeping back out of our armpits onto our clothes?? Yuck! Time to stop slathering on the cancer sticks and make our own simple DIY deodorant! Melt down the beeswax, shea butter and coconut oil in a glass measuring cup that’s sitting in boiling water, remove from heat and mix in all the other ingredients. Pour it into an old deodorant container or jar, and apply twice a day! Now, at first, your body will need to go through a detox from all the harsh chemicals you’ve been putting through your armpits so it may take up to 2 weeks before your new DIY deodorant starts to really work well. Give it time, it is SO worth it in the end. It feels great to sweat, but not smell bad, and know that NO CHEMICALS are being sent through my lymph nodes every day! 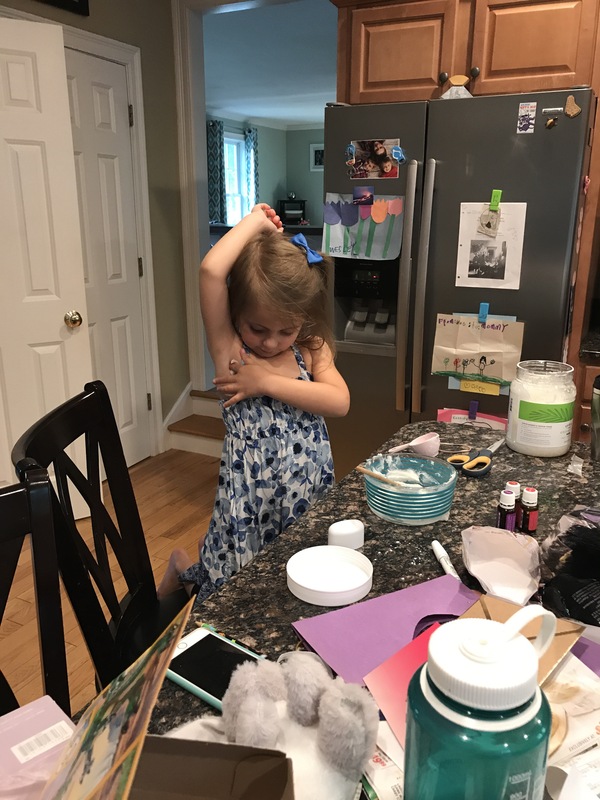 I can even allow my 4-year old to put some on her armpits (on days that she insists she is a grown up too) because I can rest assured that she is not applying chemicals to herself! Harsh chemical free children = happy mommy. 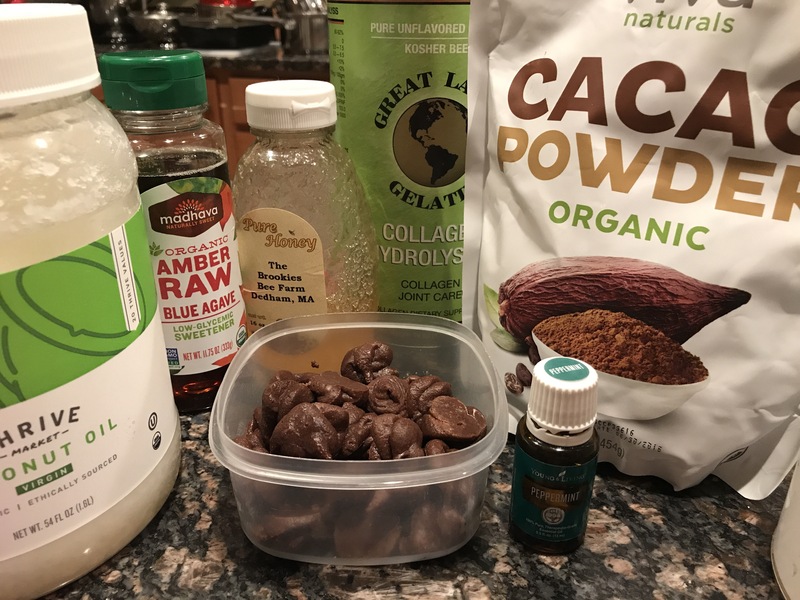 Now go throw out those nasty toxic deodorants and whip up some of your own! IMPORTANT: Don’t have essential oils yet? DON’T BUY GROCERY STORE ESSENTIAL OILS. They might not work as well because they don’t have the same chemical constituents as high quality essential oils. Plus there is the potential that they are laden with chemical solvents (hence why they are often less expensive than Young Living oils). What’s the point in replacing yucky deodorants with a healthier deodorant that’s laden with yucky oils?? Don’t do it. I only trust Young Living essential oils and you can get them easily by clicking here. Choose your starter kit which comes with a diffuser and 11 of the most popular essential oils. If you are ambitious, go ahead and sign up for essential rewards by adding Tea Tree EO, Grapefruit EO and a bottle of amazing Thieves cleaner to your order.. You’ll start earning free oils to make all kinds of DIY recipes right away! I will be here to give you recipes and answer questions every step of the way. Message me anytime and thank you in advance for supporting small business!! DIY Toothpaste For Healthy Teeth! All you really need is some baking soda and coconut oil to clean your teeth so why do companies add all these extra chemicals? I have been making my own toothpaste with coconut oil, baking soda, bentonite clay, xylitol and either Peppermint, Orange or Spearmint Essential Oils and my teeth have never been cleaner. There’s no need to brush your teeth with garbage, make some super inexpensive toothpaste and mouthwash right in your own home! You can even customize it by adding trace minerals or magnesium spray for added benefits that you aren’t likely to find in something store bought! 20 Drops peppermint, spearmint or orange essential oils (only use high quality ones, especially since you are partially ingesting these) Get your essential oils HERE. (Scroll down and click Enroll Now and become a member by getting a starter kit with 11 of the most used essential oils, including Peppermint!). Mix it all together and scoop it into a silicone squeeze tube or a glass jar! Use twice a day to brush as normal. NOTE: You can add more or less essential oils to taste. I like to let my kids taste it to check that they like it before spooning it all into the squeeze tubes. If you’re kids are under the age of 5, I recommend using only a few drops of peppermint EO, or just skipping it altogether and using Orange EO instead. Some young children are sensitive to peppermint essential oils. FOR FUN: Try different flavors! Young Living has a whole line of vitality essential oils that are FDA approved for internal use! That means, you can eat them! Try out Thieves Vitality EO for an extra immunity boost while brushing your teeth! !